What is Namecheap Custom Domain? Namecheap.com is a popular web hosting service used by millions of people, specifically, bloggers around the world. It is listed on top 10 best web hosting providers. 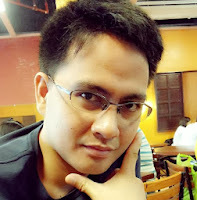 Many users of Blogger.com use Top Level Domain or Custom Domain to replace their blog address (yourblog.blogspot.com) to make it look more professional and customized. 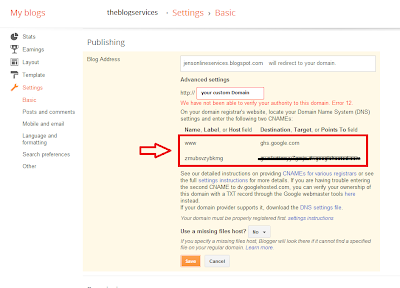 Many of us, bloggers, have difficulty in configuring custom domain in Blogger that's why I created this article to help everyone to easily setup their custom domain. Domain names serve as unique identifier on the internet that classifies Internet Protocol (IP). For websites they act as an address or a location as well as a tool for naming and branding a company’s internet identity. Domain names are formed by the rules and procedures of the Domain Name System (DNS). The advantage of buying a custom domain with namecheap.com is that they are accepting paypal payment even in the first purchase not like all other brands out there. This is quite convenient to those who are new to buying custom domain or chosen domain. If you already bought a custom domain from Godaddy you may visit my other tutorial about setting up of custom domain for godaddy.com here. 1. Register domain that you want in Namecheap. You are free to use .com .net .org .info or whatever you want. Search one for you then checkout. Now you have set-up a Top Level Domain or Custom Domain for you blog, Congratulations. I moved from Blogger a couple of years ago but this is super helpful and for those who are still there! I actually just purchased my URL from namecheap about 2 weeks ago. Good for you, you are now enjoying the benefits of custom domain for a blog, fast alexa ranking and DA increases too.. See you around! I was thrilled when I bought my domain name. I have several actually. But they are on WP. This definitely looks easy to use! Thanks for sharing!